Over the years many of us have become more aware, and more alarmed about the damage to the environment due to global warming and the pollution we create worldwide. In more recent years we have at last started getting more self help advice about what we as individuals can do to reverse this trend. In this article I will cover some of the basic facts about the problem and some going green lifestyle tips that you can start doing today. 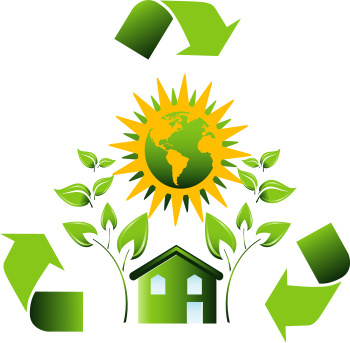 If you are ever in a position to take your green living steps to the ultimate point of converting your property to use the pollution free energy of solar power for homes, then you will have made a huge difference to the environment in your community. As global warming continues to be a major concern for the future of our planet, people are starting to turn to green living practices to help save it for future generations. Green living involves every aspect of our daily lives - from driving to work to mowing our lawns. Making the switch to green living all at once might scare most people away from implementing those earth-friendly changes. There are many ways to ease into this practice and still help save the earth’s environment. Air pollution is a major problem for some cities. A lot of it comes from the factories, but that’s not the only avenue contributing to global warming. Automobiles give off a fair amount of pollutants into the air. When you have a lot of cars driving around on the city streets, you’re multiplying the amounts of pollutants being emitted by each car that’s destroying our ozone. If you want to save the environment, you can start by either car pooling, walking more instead of driving or even purchasing hybrid models that don’t do as much damage. This small change can bring much relief for the environment for future generations. There are many ways to adapt green living into your life by taking a look at your home. The standard bulbs we use only contribute to higher electricity bills and more carbon dioxide. If you switch at least some of your standard bulbs with the compact fluorescent bulbs, you can save the environment while saving on your electric bill. Make sure to seal any gaps around windows and doors to keep any cold drafts from blowing into the house, which can cost you more money. Make sure the house is well insulated to help cut down on those costs in the wintertime. The less the furnace or heater has to run, the better off everyone will be. Take a look at your appliances. Are they devouring too much energy? If they’re older models, the answer is probably yes. While some of the changes are in the appliances that you use, other ways to go green involve your own habits and actions. Do you open the oven door several times to check and see if something is done? The harder an appliance has to work, the harder it is on the environment. If you keep opening the oven door, the temperature will drop almost 25 degrees. It will then have to work harder to get back to the original temperature. Recycling is an excellent way to save our environment. Try to buy as many products as you can that can be recycled. Avoid the non-recyclable items such as Styrofoam cups. The less trash that has to be burned - or buried into our soil - the better off our planet will be. You would be absolutely amazed at the amount of solar powered products you can be using around the house, office, garden, shed that won’t cost you or the environment one watt of domestic power! Everything from solar phone battery chargers, bird bath fountains, water pumps, water heaters, room heaters for winter, roof fans for summer, the list is endless and will really open your eyes once you start looking online at what you can buy! These small changes may seem like they couldn’t help much for the environment, but they can help tremendously. Every little bit we do is a much-needed step toward reserving natural resources for our future generations. Get involved with the environment and start to make a difference in the practice of green living for our earth. Once you start to learn about how these solar power systems work, you might be surprised at the types of alternative energy system that you can incorporate into your own home without having to invest a fortune. There are even solar panel kits that can be built and installed for only a couple of hundred dollars if you are a bit handy with tools around the house. You can help yourself, and the environment, while also saving yourself money, so it is a real win-win-win situation if you learn and apply self help tips for going green! Do you want to design, install or build your very own solar powered home, but don't know how or where to start? Get DIY solar power guide that includes tips for Australia solar power conditions! Not doing DIY solar power? Don’t let your solar contractor hoodwink you! Learn the tech info so that you can negotiate your best deal and make sure what you buy suits your needs.